PROVIDING A RESOURCE FOR YOUR metal Fabrication NEEDS. will help your business maintain a competitive edge. We take pride in our ability to help our customers improve their supply chain and we take pride in helping grow the brand of our customers with metal fabrication and other services. We take pride in offering our employees a safe, clean, and challenging place to work. View more information about working here and apply today. Have more questions? Look here to find more information about some of our frequently asked questions. 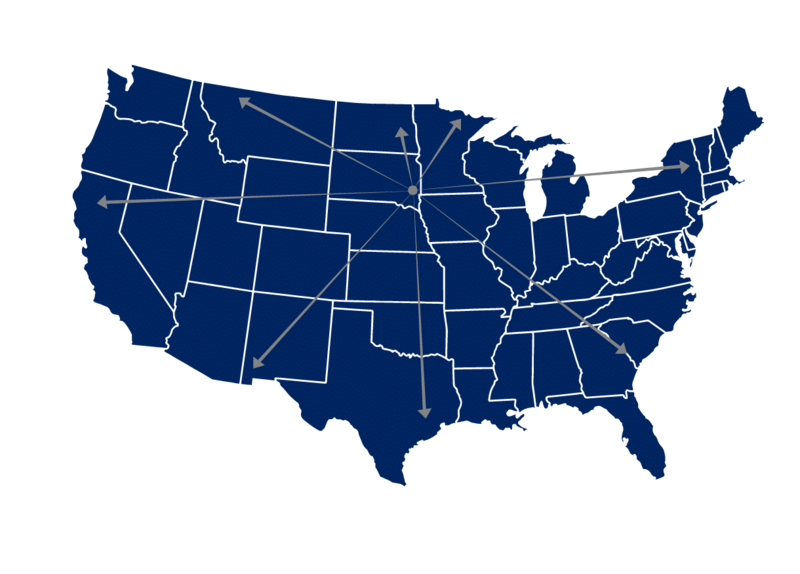 With customers across the entire United States, we have the capacity and logistics required to reach any satellite facility or direct-to-customer locations. We take pride in our ability to help our customers improve their supply chain. We take pride in being a metal fabrication partner who helps grow the brand of our customers. And we take pride in offering our employees a safe, clean, and challenging place to work. Today, we leverage our core values of collaboration, accountability, integrity, trustworthiness, continuous improvement, and can-do-attitude in all facets of our day-to-day business.